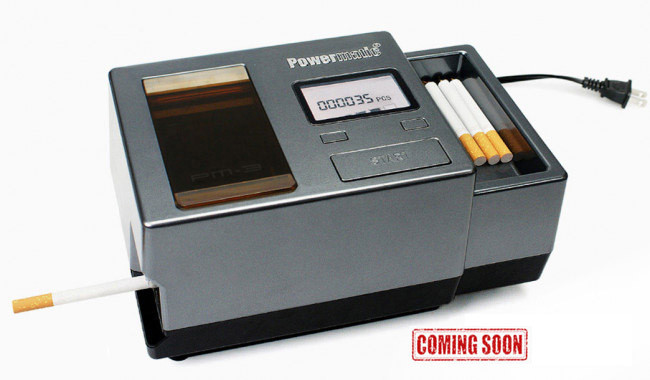 (COMING SOON) The Powermatic III is the next evolution in the Powermatic series. This machine takes everything you loved about the Powermatic series and adds the convenience of automation. 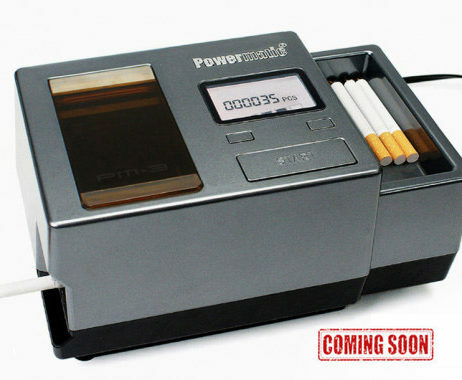 This machine can hold enough tobacco to fill up to 30 cigarette tubes. Operation is as simple as adding your favorite tobacco to the hopper, placing the cigarette tube on the end of the nozzle and pressing the start key.